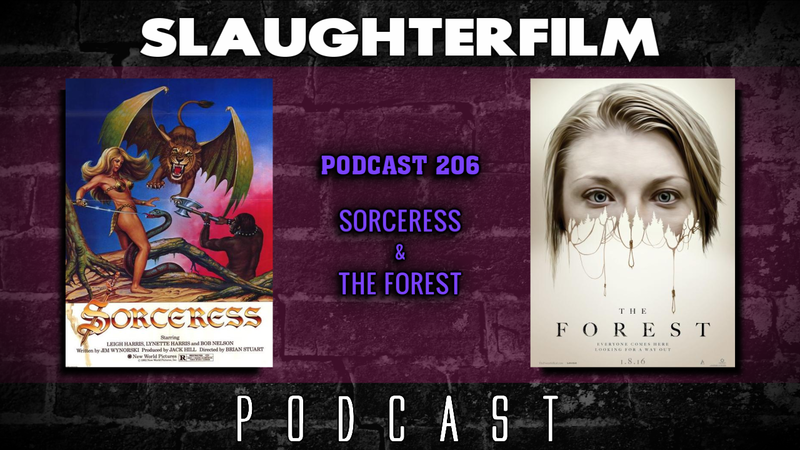 This week Forest's sword & sorcery extravaganza ends with Sorceress - another of Jim Wynorski's film. Cory breaks the cycle with a new film set in Japan, The Forest -- staring Natalie Dormer. The Horror Duo also chat about the life and death of Joe Fleishaker, the lady troubles of James Rolfe, and John Carpenter has signed on as executive producer of the next Halloween sequel. All this and Forest vacations with Ric Flair. If you listen close you can hear "Moon Birds". For more Slaughter Film news and reviews, as well as show notes and special events, make sure to visit our website; SlaughterFilm.com.